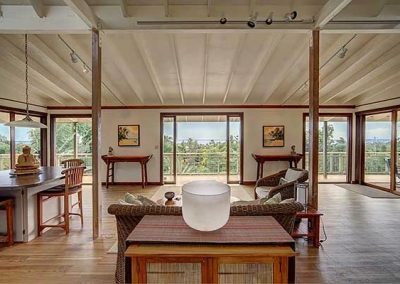 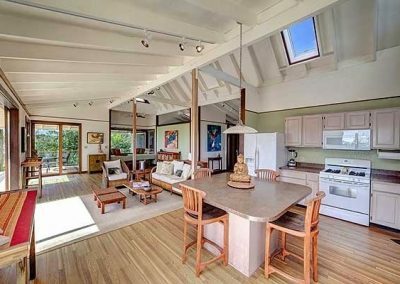 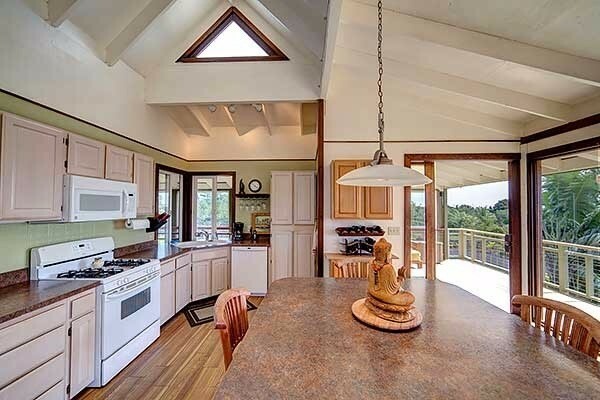 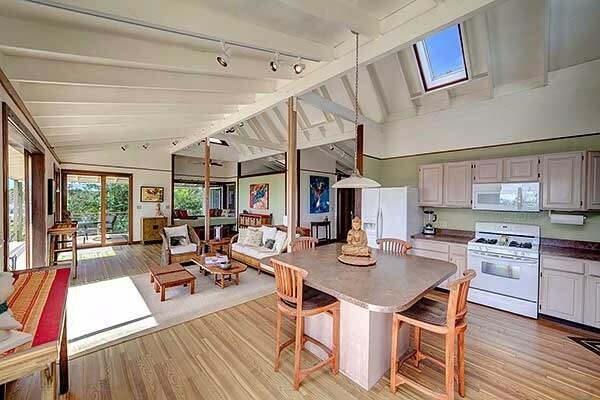 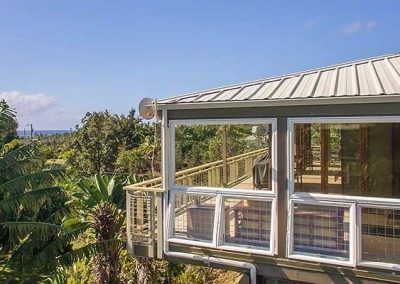 Architecturally designed to take advantage of the gorgeous OCEAN & MOUNTAIN VIEWS, this private residence or vacation rental retreat offers a place of intentional peacefulness and unparalleled beauty. 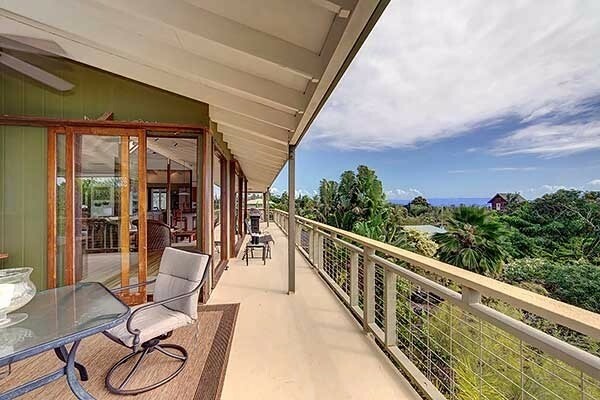 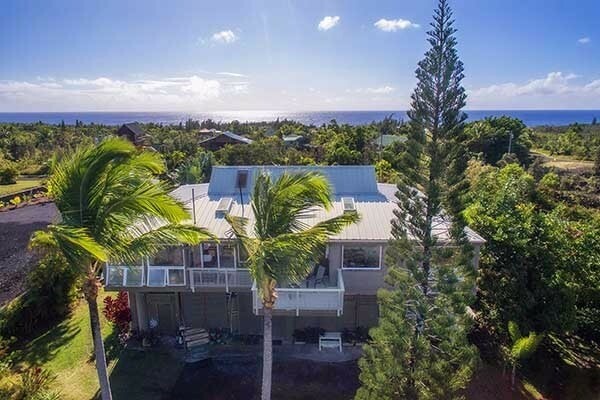 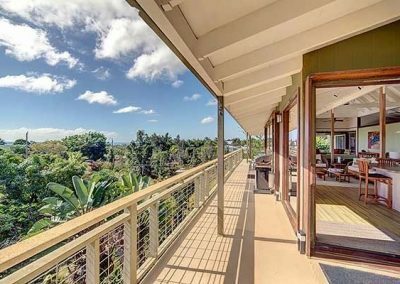 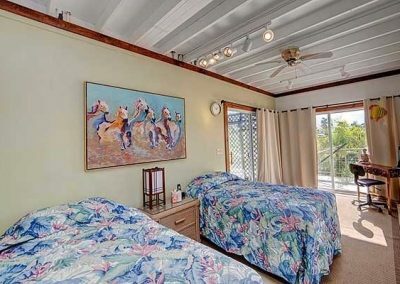 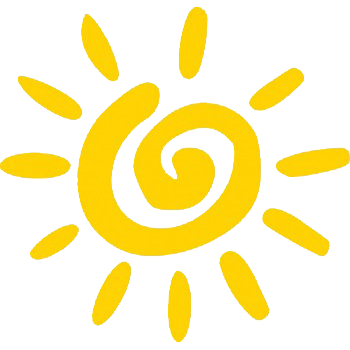 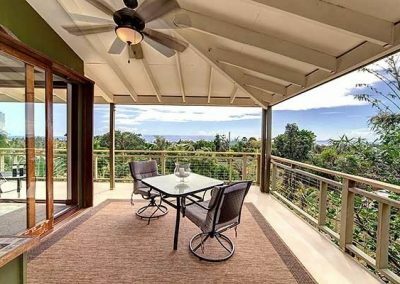 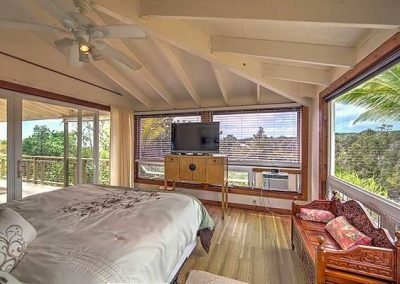 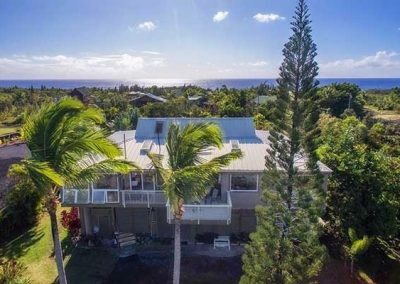 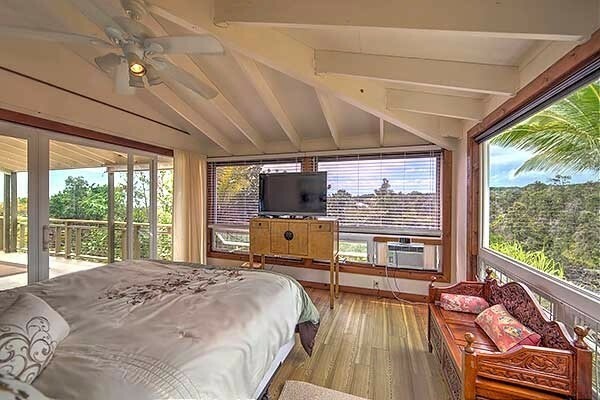 Located in Puna Beach Palisades on the spectacular Hawaii Coastline here you can enjoy the breathtaking black sand beaches and azure blue ocean, walk in the lush tropical jungle or simply stay put and relax. 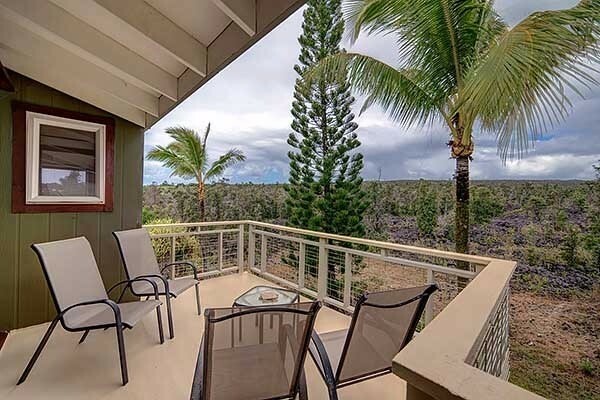 This 2 bed, 2 bath 1461+ sqft home with over 1000 sqft of wrap around lanai was completed by the sellers using their artist talent and attention to detail to created one of the most beautiful homes in the area. 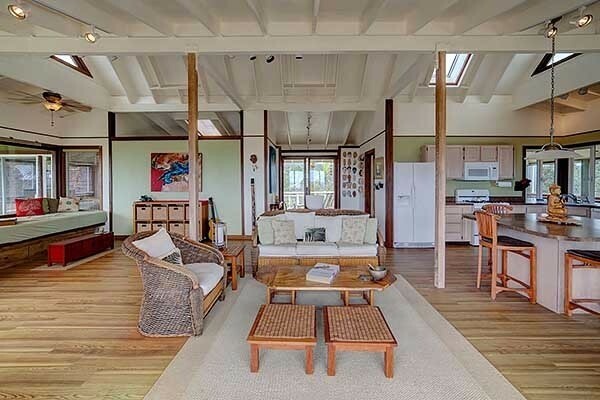 To take advantage of the trade winds, the 2nd floor is the main living area. 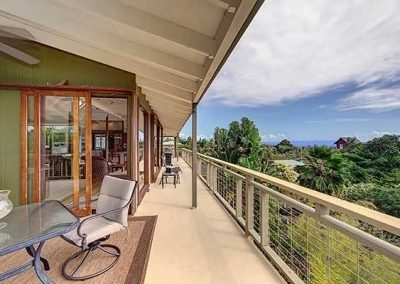 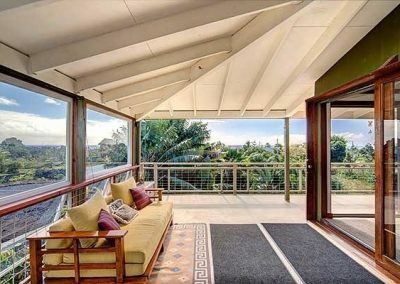 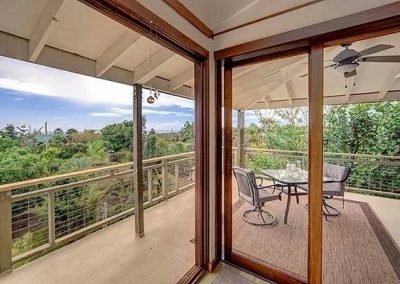 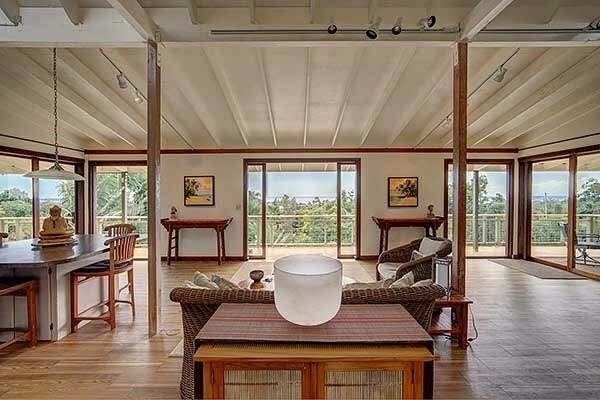 Here, as you enter the home through the custom sliding glass doors you come to the spacious great room with its full wall of windows facing East to catch the amazing ocean view and morning sunrises. 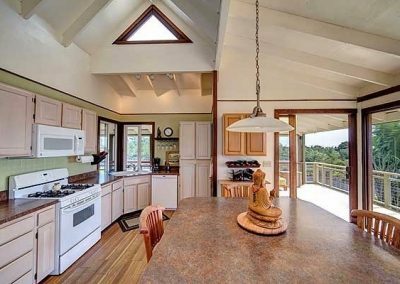 To one side you have the kitchen with its central island, wooden cabinets, gas stove, lots of counter space and storage. 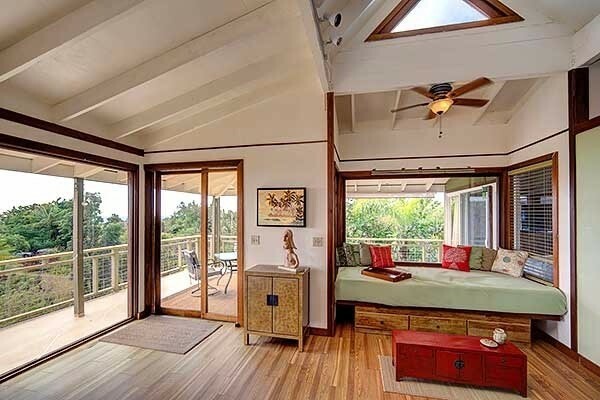 To the other side is a custom built in daybed ready for those lazy afternoons. 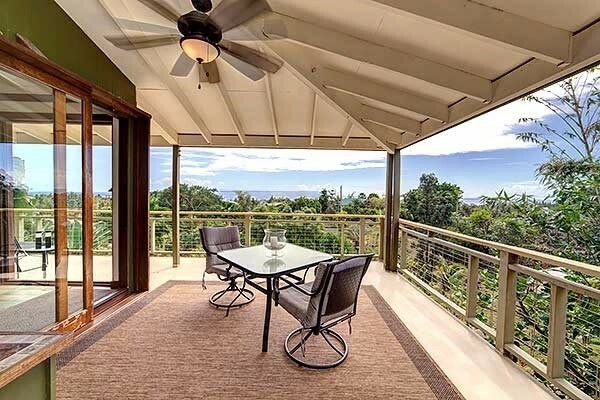 The lanai space gives plenty of room for tables, chairs, loungers, a BBQ plus more! 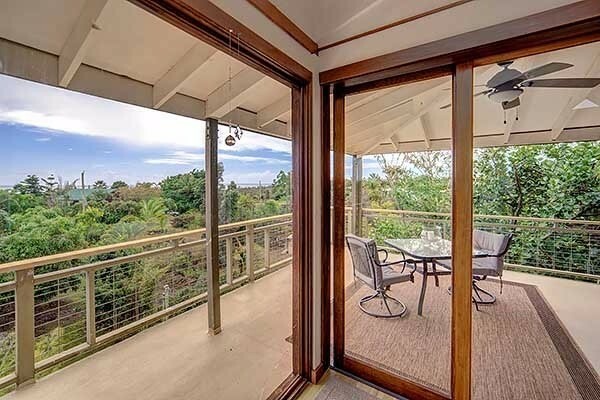 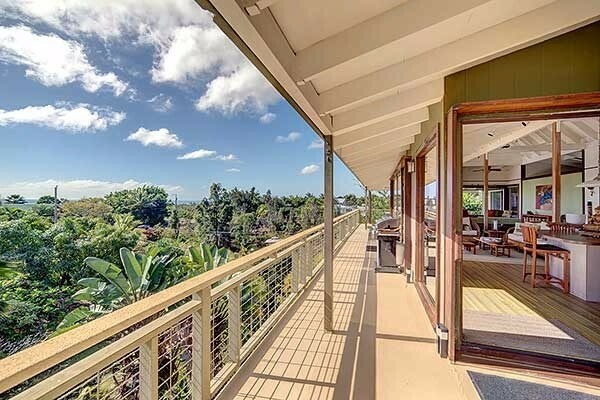 The back lanai is open to the sky. 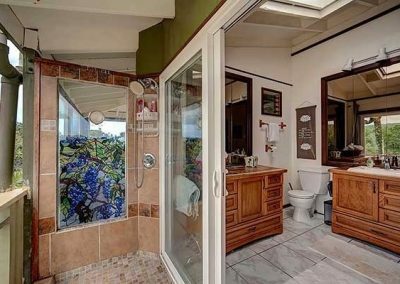 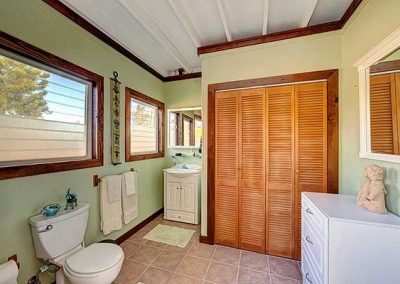 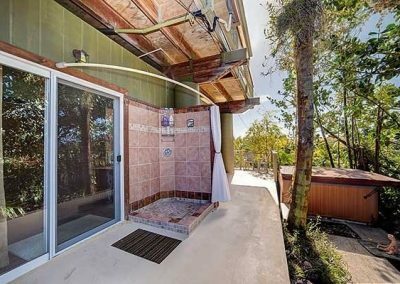 On the back side of the home is the master bedroom with its office and walk-in closet, beautiful bathroom with jetted tub and outdoor shower. 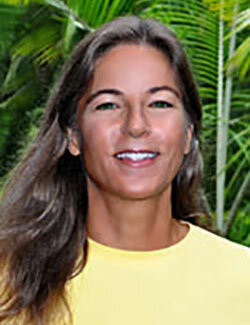 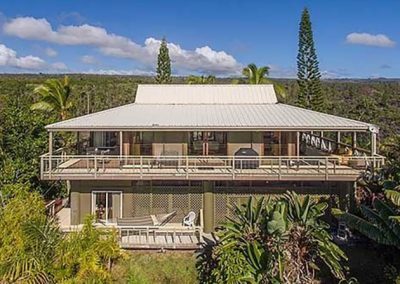 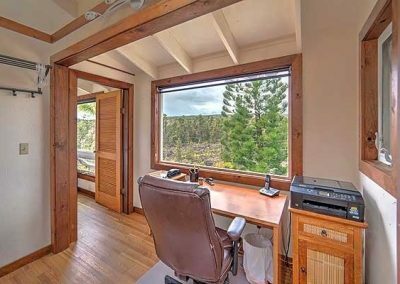 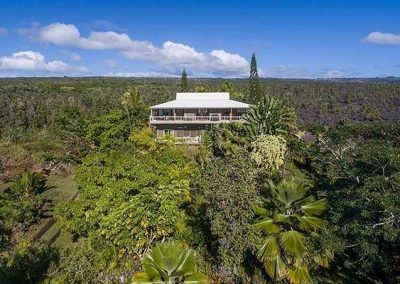 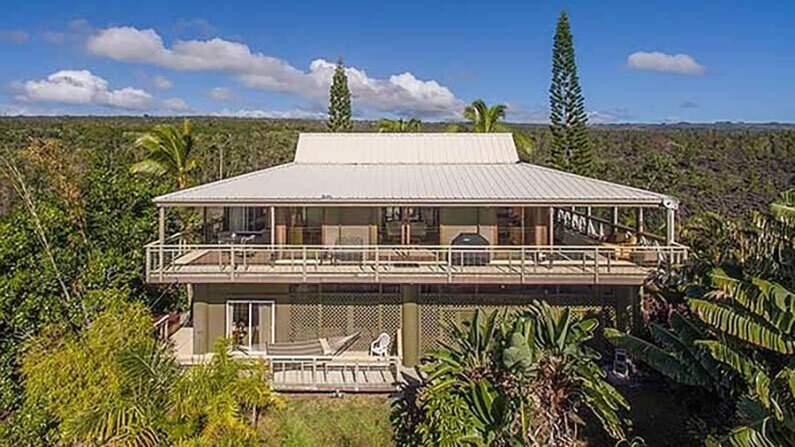 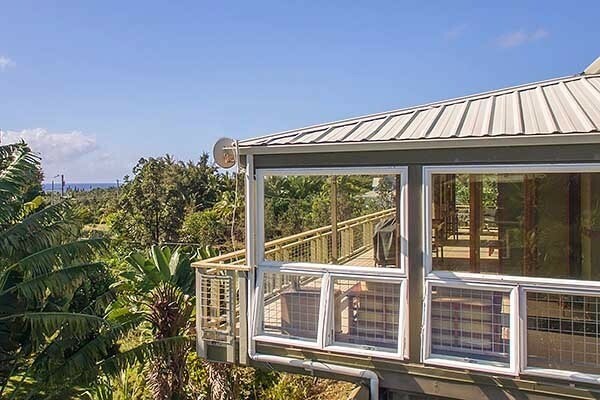 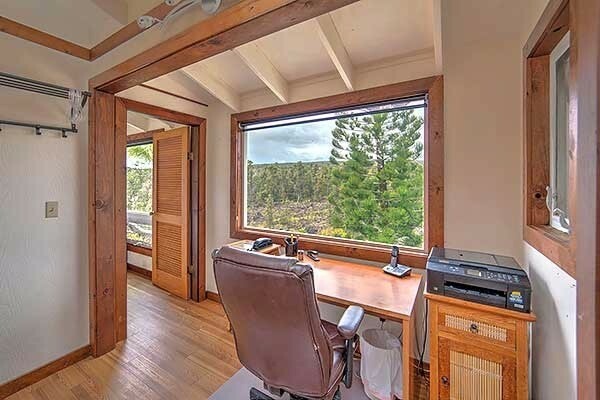 The backside of the property borders endless natural large acreage giving you a stunning view of lava and Ohia forest. 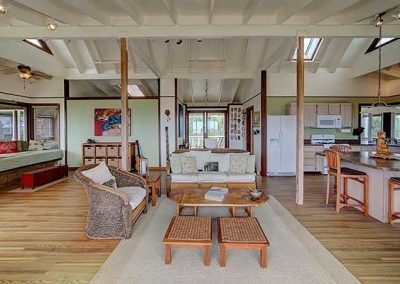 Below the main home is a 280 sqft suite. 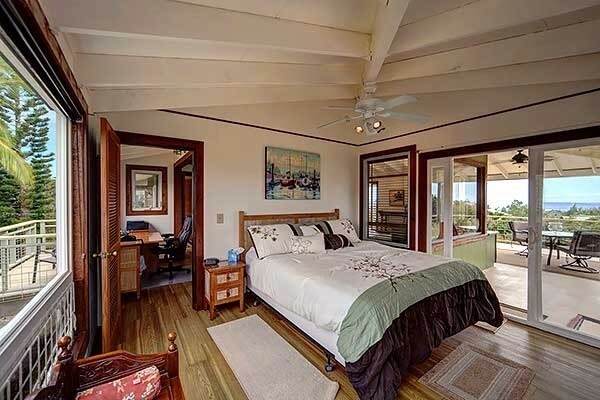 With its separate entrance this makes a great guest room or rental. 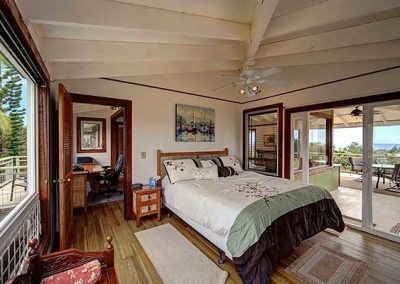 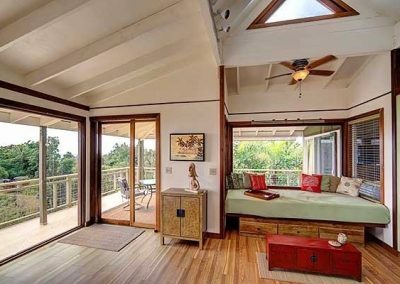 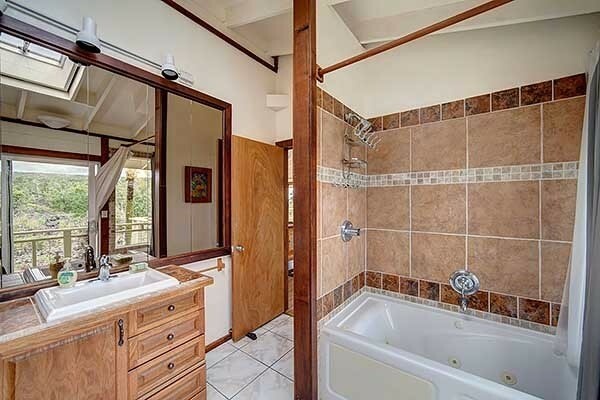 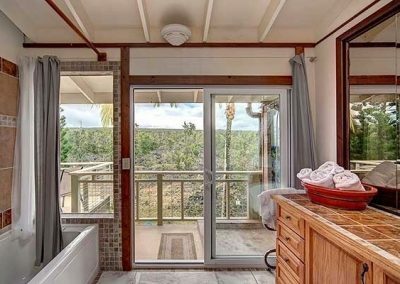 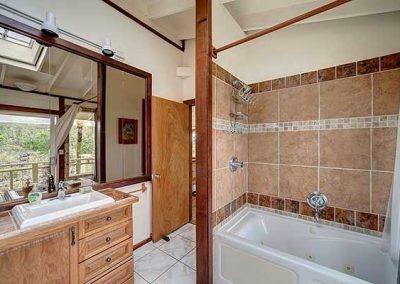 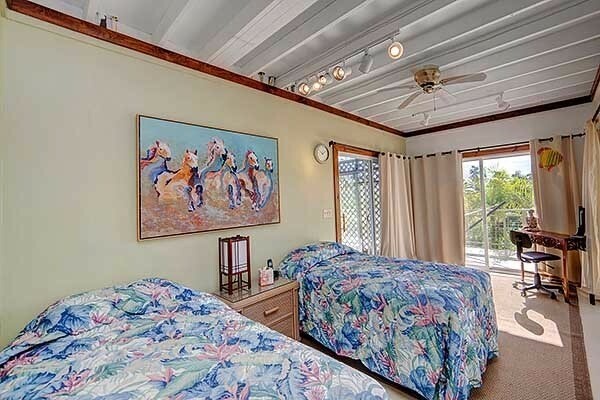 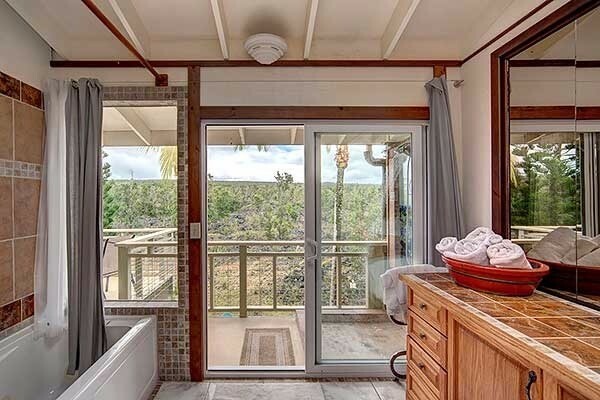 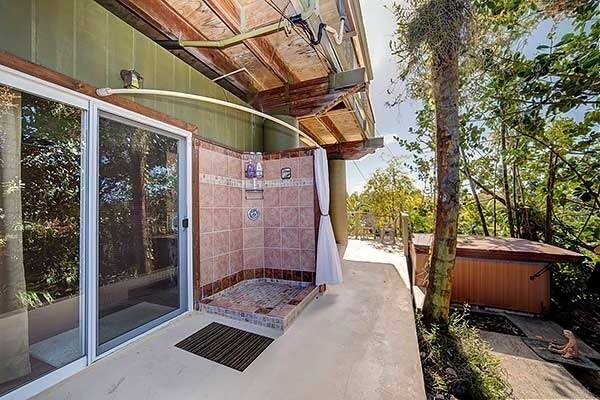 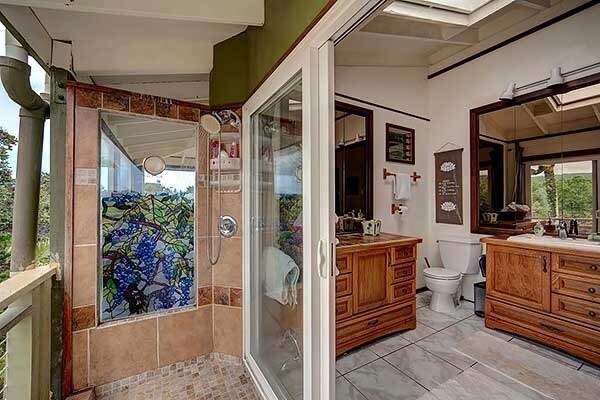 This suite area includes a bedroom, bathroom, outdoor shower, hot tub and private lanai. 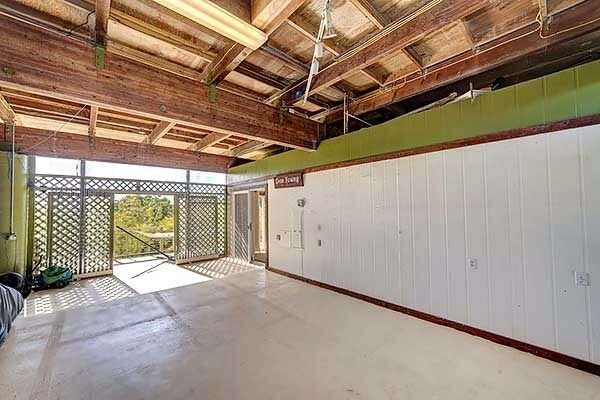 The lower floor also has a large space for an art studio or workshop. 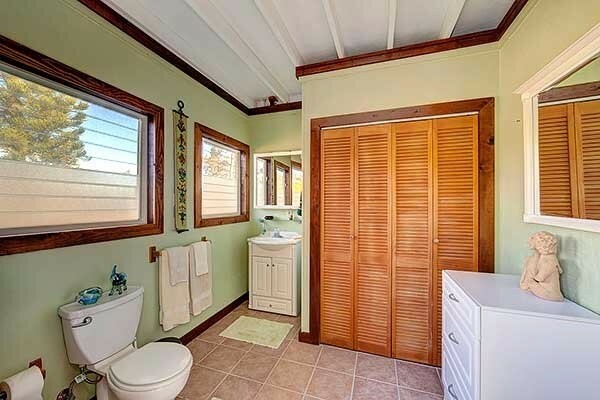 The catchment is located under the home keeping it out of site along with the laundry room and lots of storage. 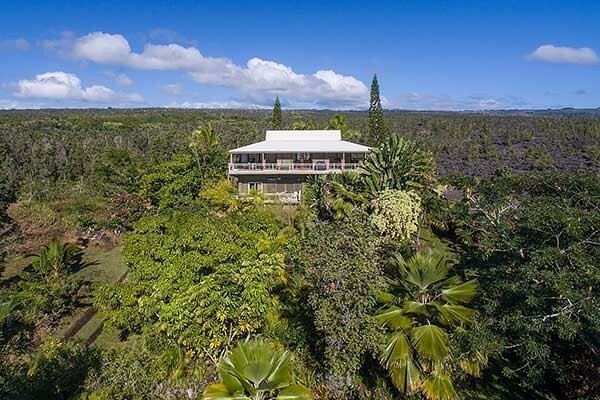 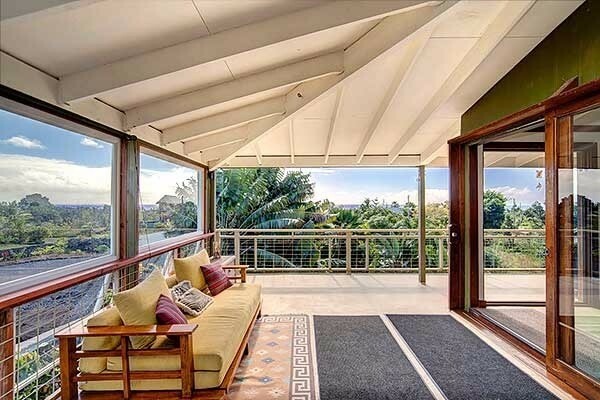 This exceptional property, landscaped using tropical foliage, is one you won’t want to miss. 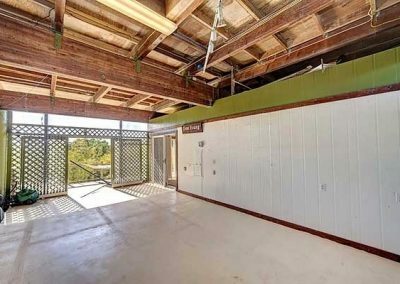 Adjacent vacant lot is for sale.